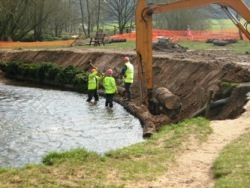 The aims of the Environment Agency’s Mersey Life Project were to address the limiting factors that prevent our rivers from reaching their socio-economic and ecological potential through a phased programme of river restoration. 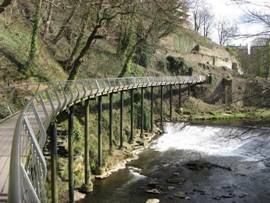 The project covered the River Bollin, River Goyt and the freshwater section of the River Mersey, which is a large and complex geographical area within a number of local authority areas. Penny Anderson Associates Ltd (PAA) was asked to identify opportunities for ecological improvements and provide evidence-based arguments relating to their environmental, social and economic benefits. The hydromorphological character of the rivers, riparian corridor and wider floodplains were assessed through fieldwork, looking for restoration and rehabilitation opportunities to re-establish a more hydromorphological and bio-diverse river landscape that provided improved ecological connectivity. Environmental problems and limiting factors were identified and described and solutions considered, giving rise to a strategy for action and a portfolio of 161 potential projects, amounting to a delivery cost of £8m, that have clearly defined benefits. All projects were integrated into the green infrastructure plans and environmental obligations of participating authorities, and embraced over 500 hectares of floodplain restoration, 166km of in-channel and riparian habitat improvements and included 60km of fishery enhancements. 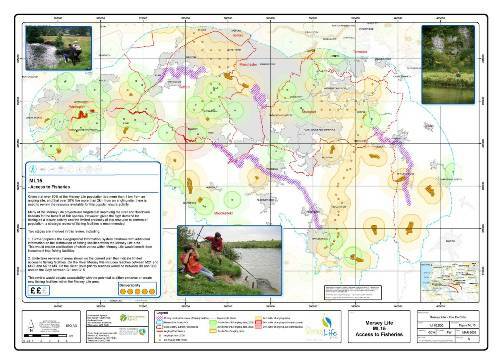 The project was completed using a multi-disciplinary team from PAA comprising seven consultants, specialising in ecology, geomorphology, hydrology, GIS, cartography and project management. The project took over nine months to complete and included the production of a publication-quality portfolio map book of potential projects and accompanying database resource for continuing reference use and development within the Agency.